There are 223 posts in this topic. You are on page 1 of 5. 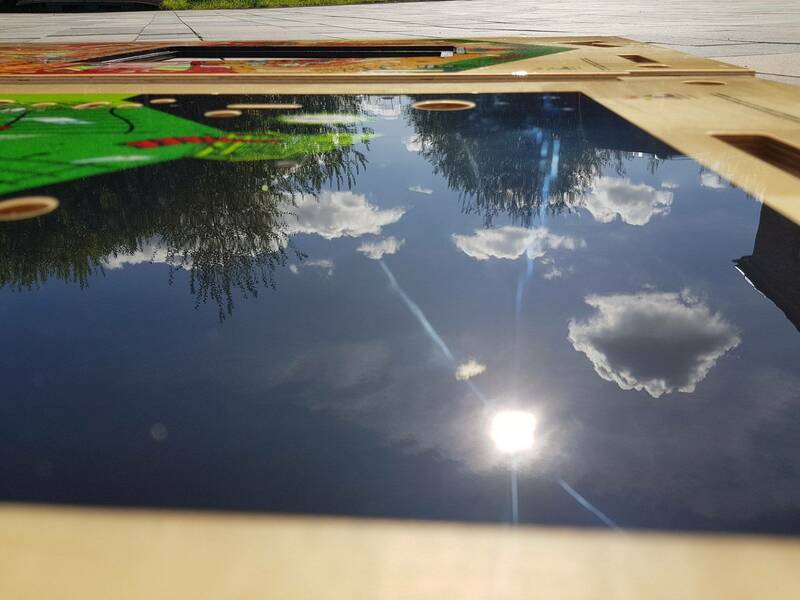 Do you know the makers of Playfield Protectors (https://www.playfield-protectors.com)? I believe they are also in Germany. 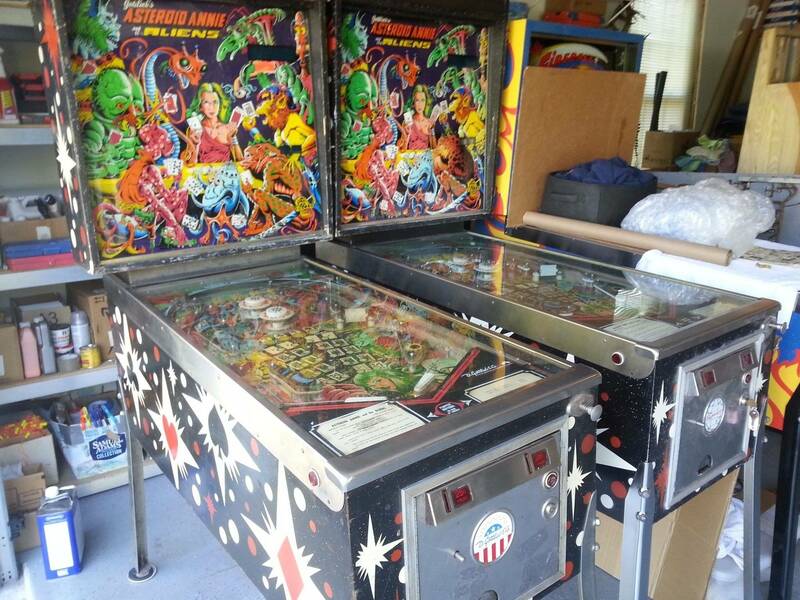 I am wondering if you would be able to work with protectors to help them make a playfield protector for Haunted House. 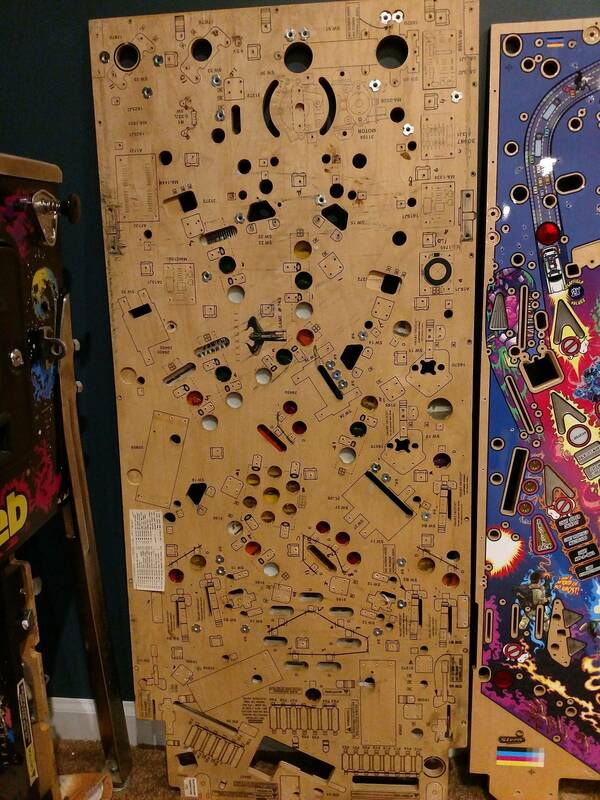 I think they needed a sample playfield. 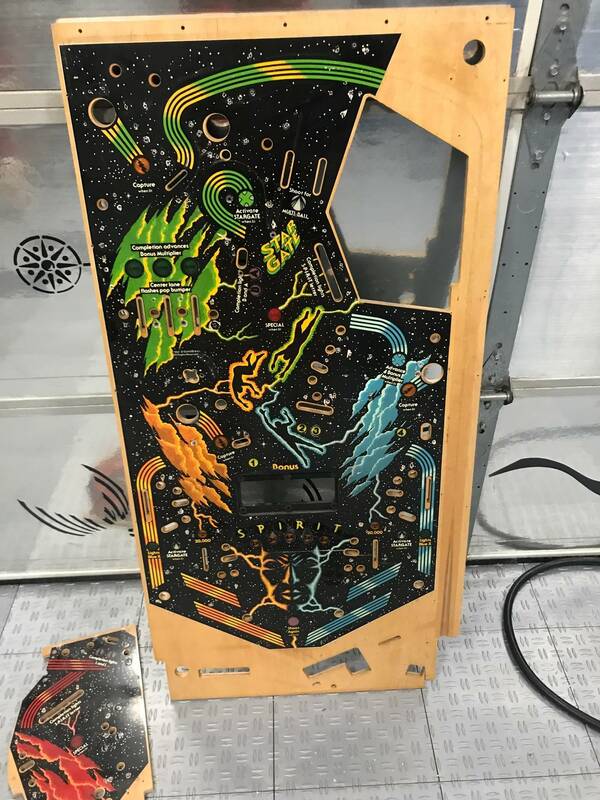 Stargate reproduction playfield ? WOUW! That is great news. 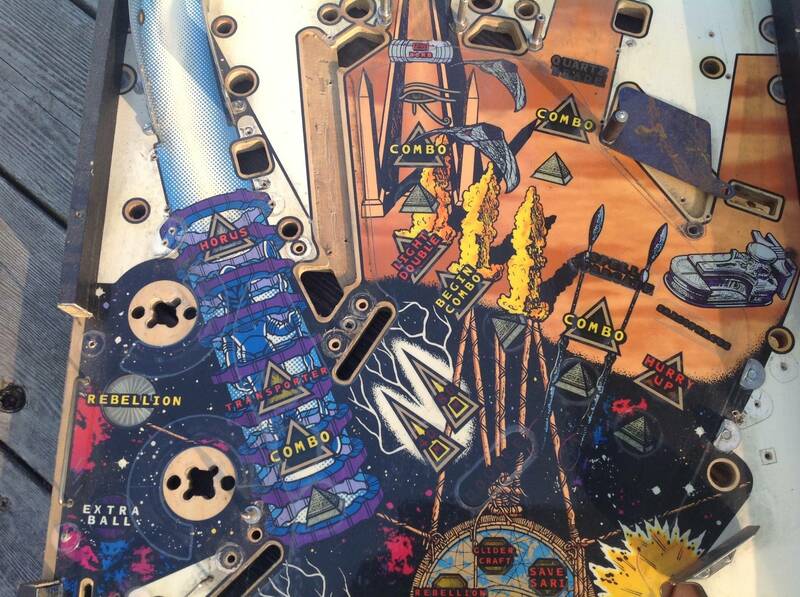 Those playfields are really trashed in most machines. Great news! 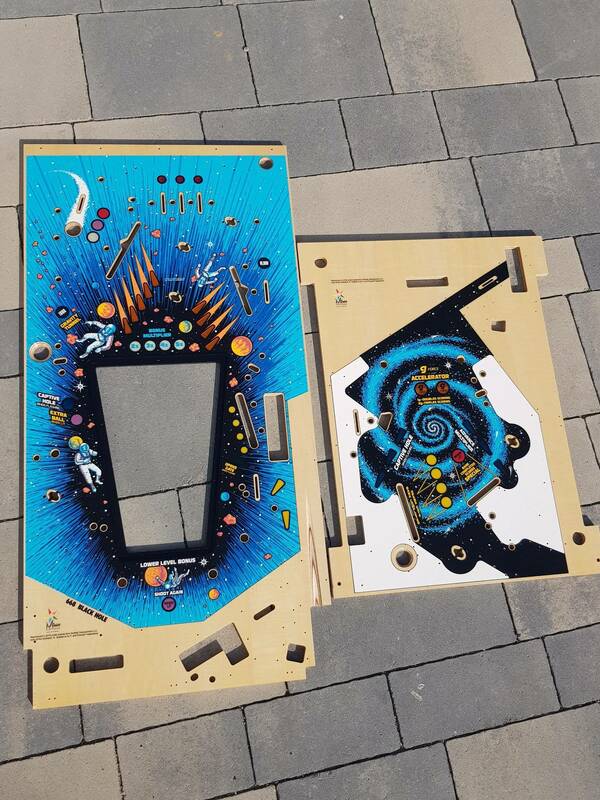 I have a Stargate playfield that I can send you. That's great news about the Haunted House playfields. Any idea on what the price will be for a full set? Great news on the Spirit playfields. I likely can supply a sample. Notorious for between the flippers wear and upper, unprotected by mylar, wear around the pops. I have a Top Score and Volley. Any plans for these? How about doing a Gottlieb Super Mario Brothers? Great news !!! I've been wanting to hear this for years. This, my good sir, I can't believe! Where do I sign up?! Any chance on shaq attack’s? Very cool, I would now consider Gottlieb projects with this announcement. Lights, Camera, Action ! Been looking for an nos example for years with no luck. 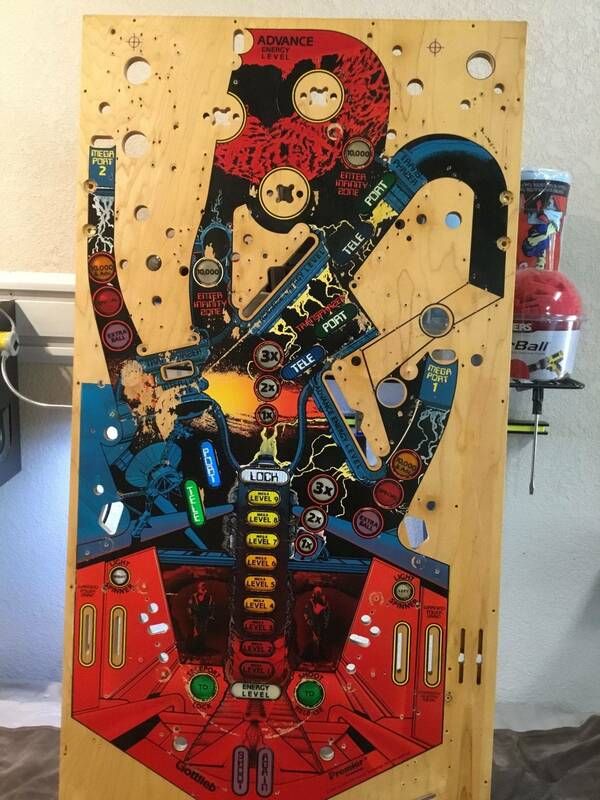 I believe this playfield is available NOS at Pinball Resource, go to pbresource.com and click Special when Lit. 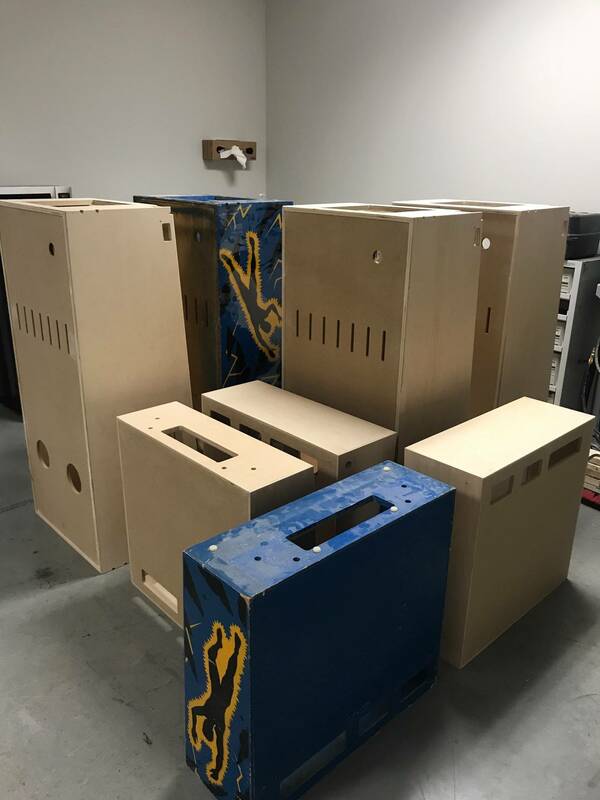 "There are always enough playfields available and I will rerun them before they go out of stock"
some incredible pieces of text there , thx mirco for your work..
WOW, Congratulations, that is amazing! Can you provide pricing on SPIRIT, BLACK HOLE and HAUNTED HOUSE pretty please? 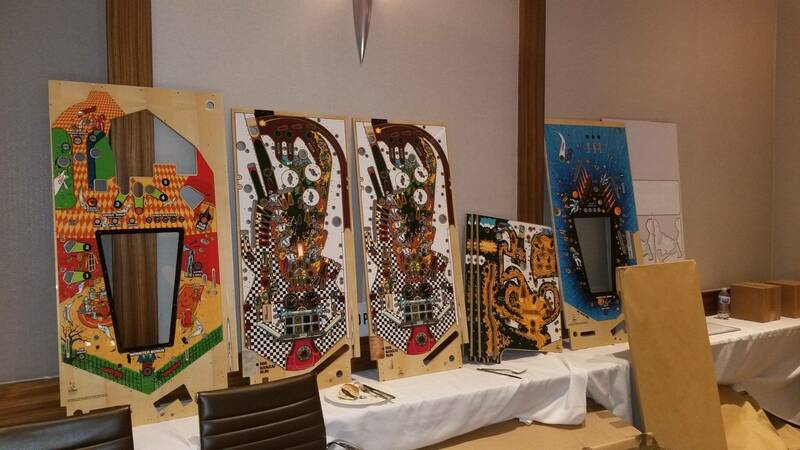 I'd be up for a TX Sector, but the art on the regular playfields looks dull ... it'd look duller under a clearcoat ... the art on the vitrograph playfields looks quite vibrant (but I hate that photoshop-style look) ... I wonder which ones they'd eventually do? Mirco, you did that Addams Family with that glitter effect ... is there any chance you could make a version of BH and Spirit that uses UV reactive inks as an option? I know nothing about how this impacts your process, so forgive me if it sounds silly to ask. But I think those games could really *pop* under some kind of UV lighting if the inks were to react accordingly. Pictures as needed for stargate. I assume this is good enough to use? Must admit this is huge. 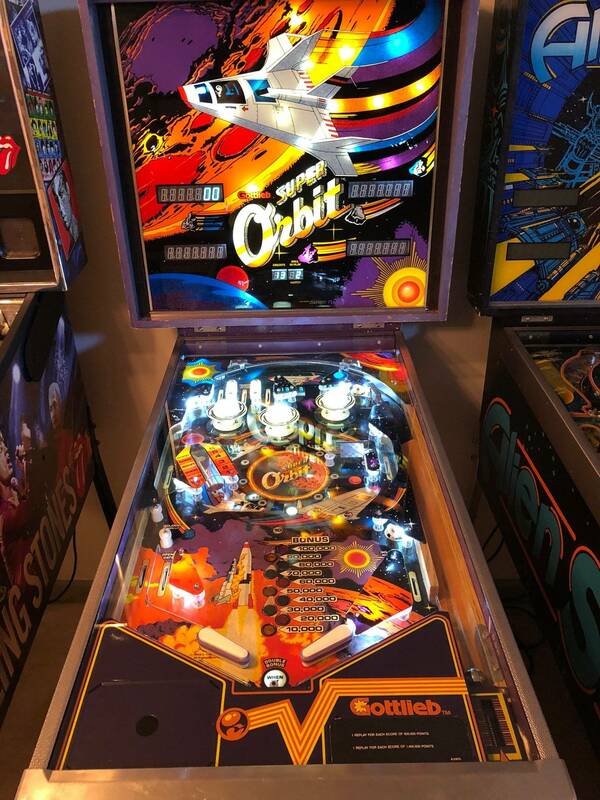 Gottlieb has always been under lock and key and to be able to bring some of these machines back to their glory would be fantastic! This is very good news for gottlieb owners! always loved your playfields. Fantastic news! I vote for Tx-Sector and Robo-War. 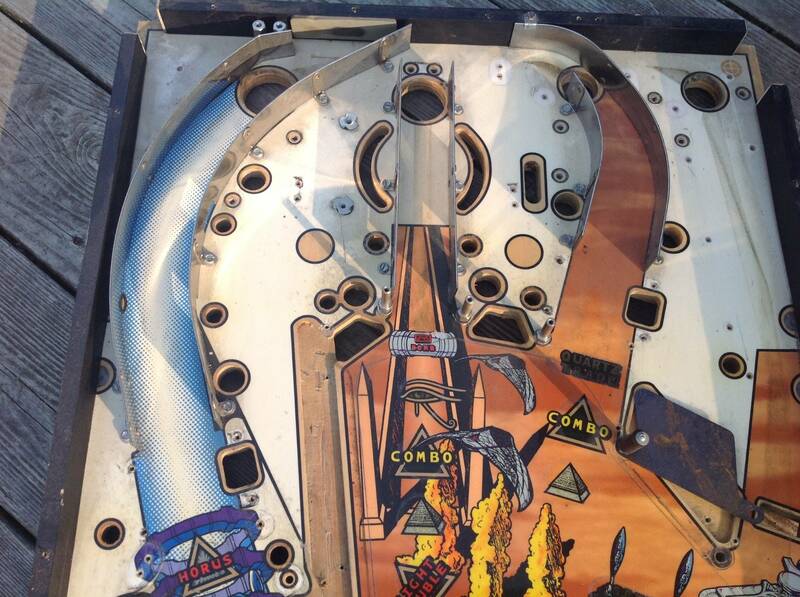 You can see where the ball drop(plus my Mylar removal) destroyed my Tx playfield. 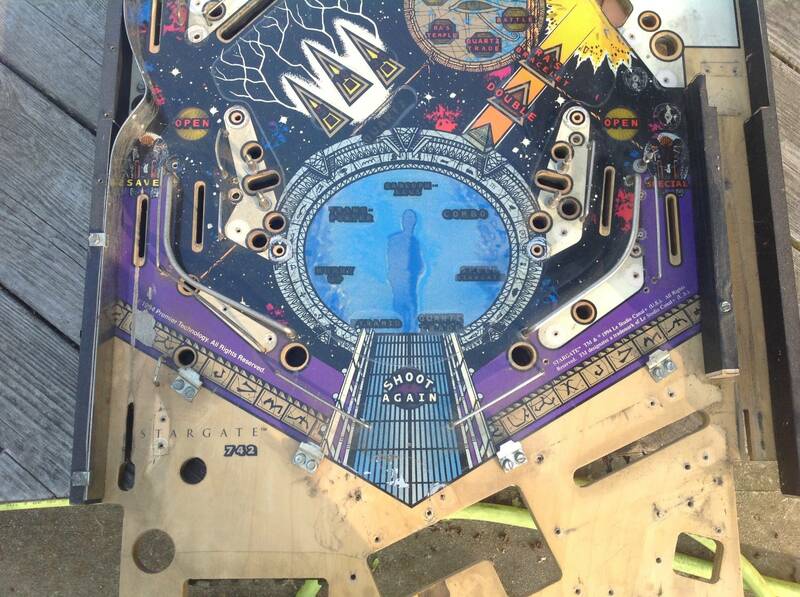 Curious with Stargate are you going to do the printing on the underside of the playfield? 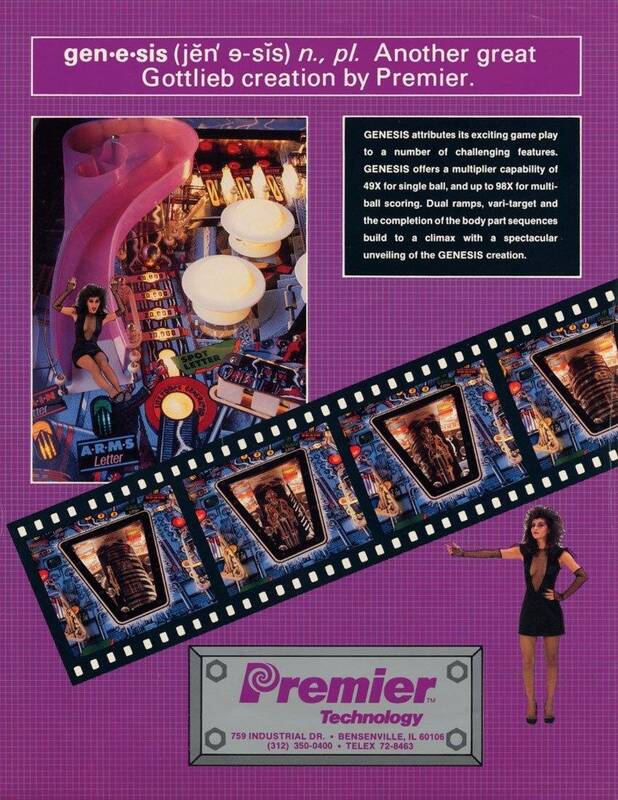 I always thought that was a cool feature of that games playfields. I'd likely buy one to hang. 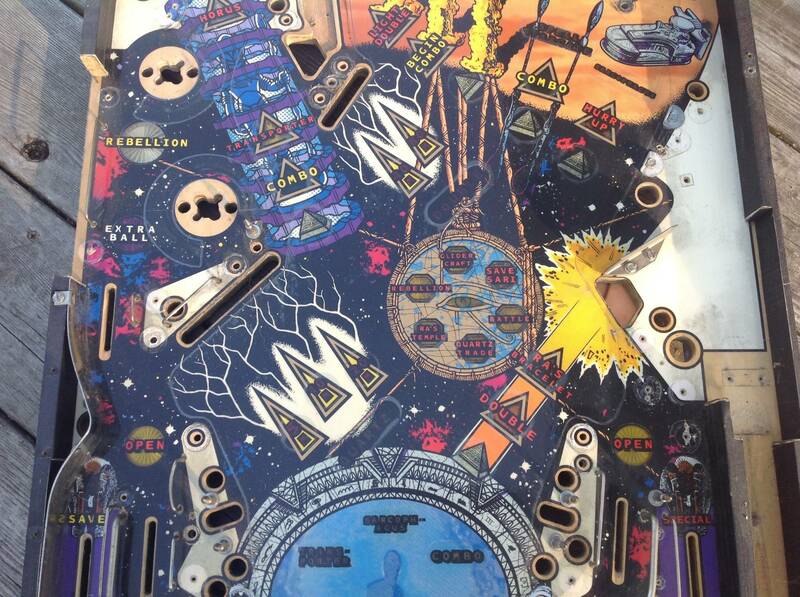 This is my favorite playfield art ever. I will third a Super Mario Bros. I'll start saving up now! 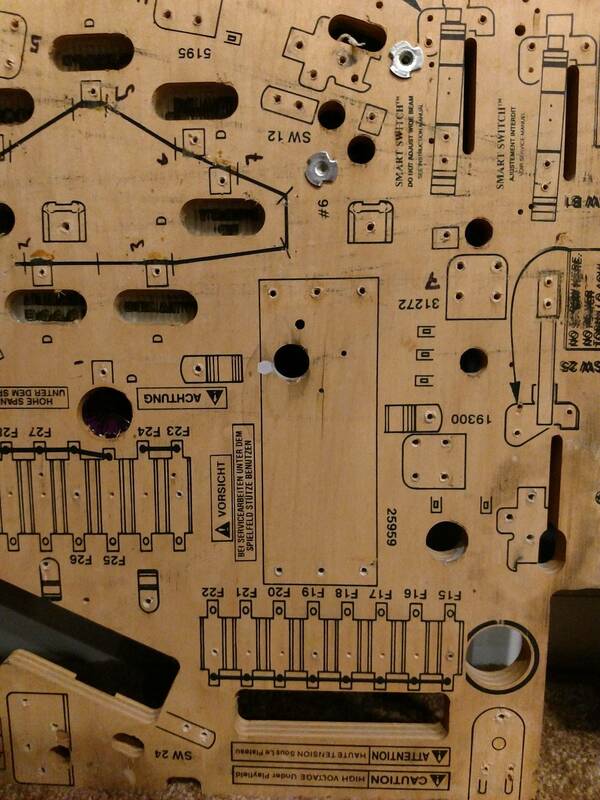 This is the underside printing I am talking about. 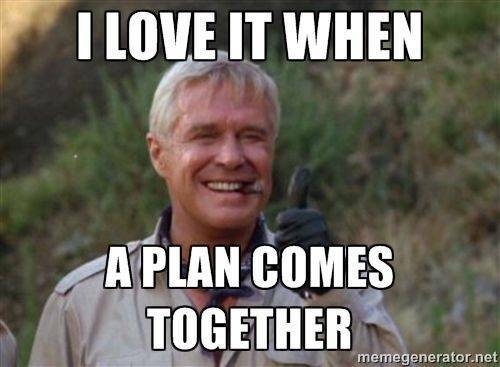 Guess this means putting off more work on Black Hole until the new playfields are available no reason to do job twice. But i guess now that means i have to fix my DE machines. 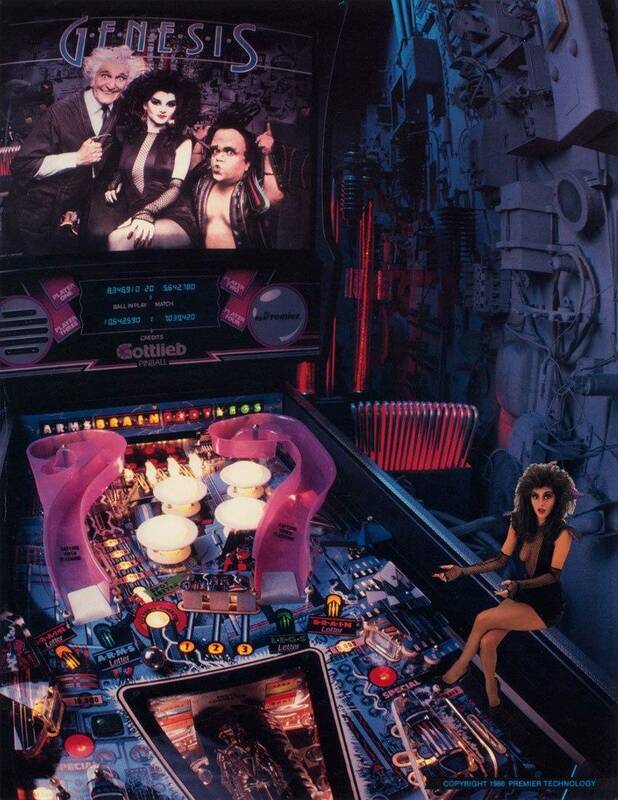 Only issue i foresee is one my pinball money is spoken for and high_end_pins will be getting more Gottlieb games to do up this will be neat to see his version of a Gottlieb game. 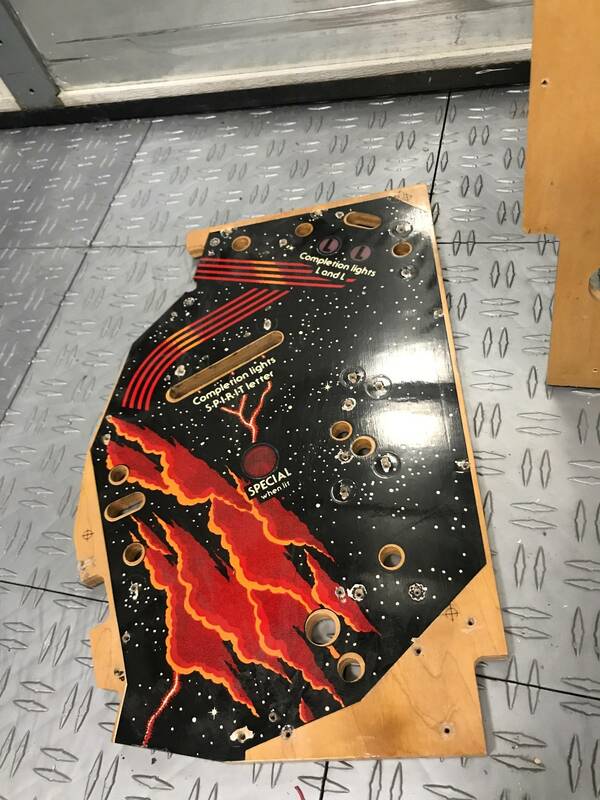 I have a decent Wipeout playfield that I could lend.  Do you have the ability and interest to do any Gottlieb woodrail 'fields if we supply originals? Woodrails are the games made in the 1940s and 50s. They have the wood rails on top of the machines as opposed to the steel rails.